The Board granted in part a respondent's motion for summary judgment on the ground of claim preclusion, finding that petitioner Freki's claim of abandonment due to naked licensing was a compulsory counterclaim that should have been pleaded in a prior proceeding between the same two parties. However, the Board ruled that Freki's claims of nonuse, fraud, and abandonment for nonuse were not precluded by the prior judgment. Freki Corporation N.V. d.b.a. Pinnacle Sports Worldwide v. Pinnacle Entertainment, Inc., 126 USPQ2d 1697 (TTAB 2018) [precedential]. In October 2016, Respondent Pinnacle Entertainment commenced a cancellation proceeding, seeking to cancel Freki's registrations for the marks PINNACLE SPORTS AFFILIATES and PINNACLE SPORTS DIRECT for various advertising services. 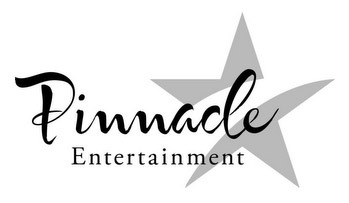 Pinnacle Entertainment claimed ownership of, inter alia, the registered mark PINNACLE ENTERTAINMENT for amusement centers and nightclubs. Freki's answer included an "affirmative defense" that Pinnacle Entertainment had abandoned its marks through naked licensing. In April 2017, during the discovery period, Pinnacle Entertainment withdrew its petition for cancellation without consent, and so the Board dismissed the proceeding with prejudice. In August 2017, Freki filed a petition to cancel Pinnacle Entertainment's registrations, alleging nonuse, abandonment through nonuse, abandonment via naked licensing, and fraud. Pinnacle then filed a motion for summary judgment, asserting that all of Freki's claims were compulsory counterclaims in the prior proceeding and therefore were barred by claim preclusion in light of the prior judgment. [Under Rule 2.127(e)(1), the summary judgment motion was timely despite being filed before service of Pinnacle's initial disclosures]. A defendant is precluded only if: (1) the claim or defense asserted in the second action was a compulsory counterclaim that the defendant failed to assert in the first action; or (2) the claim or defense represents what is essentially a collateral attack on the first judgment. Nasalok Coating Corp. v. Nylok Corp., 522 F.3d 1320, 86 USPQ2d 1369, 1372 (Fed. Cir. 2008). Under Rule 2.114(b)(3)(i), a defense attacking the validity of a registration pleaded in a cancellation action is a compulsory counterclaim if grounds for the counterclaim existed at the time when the answer is filed or are learned during the course of the cancellation action. Jive Software, Inc. v. Jive Commc’ns, Inc., 125 USPQ2d 1175, 1177 (TTAB 2017). Compulsory Counterclaim? : To the extent Freki’s naked licensing affirmative defense was an attack on the validity of Pinnacle’s pleaded registrations, it was a compulsory counterclaim that should have been pleaded with the original answer or pleaded promptly after the grounds were learned. 15 U.S.C. § 1064; Jive Software, 125 USPQ2d at 1177. Freki’s assertion of its naked licensing claim as an affirmative defense in the prior proceeding demonstrated that the claim and its underlying facts were known at the time the answer in that proceeding was filed. There was nothing to indicate that Freki learned of any information about the naked licensing claim asserted in the second proceeding that it did not have when it asserted the naked licensing affirmative defense in the first proceeding. Because Freki knew of the basis for the counterclaim when it filed its answer in the first proceeding, its failure to counterclaim serves as a bar to bringing that claim as a plaintiff in the new action. Libertyville Saddle Shop, Inc. v. E. Jeffries & Sons Ltd., 24 USPQ2d 1376, 1379 (TTAB 1992). On the other hand, Freki did not assert the claims of nonuse, abandonment, and fraud in the first proceeding, and the record did not indicated that Freki was aware of the grounds for these counterclaims during the first proceeding. Collateral Attack? : Turning to the second basis for applying defendant claim preclusion, the CAFC has found a collateral attack where the later action would impair the other party’s rights as established in the first action. Nasalok Coating Corp., 86 USPQ2d at 1376. In the Prior Proceeding, however, the Board dismissal with prejudice did not determine any specific rights of Pinnacle with respect to its pleaded registrations. Am. Hygienic Lab., Inc. v. Tiffany & Co., 228 USPQ 855 (TTAB 1986) (the only claims extinguished by virtue of the stipulated dismissal in the previous action are claims made by the plaintiff in the previous action). Therefore this basis for applying claim preclusion does not apply to Freki's naked licensing claim in the second proceeding. As to Freki’s claims of nonuse, abandonment, and fraud, those claims were not before the Board, and therefore Freki’s assertion of these claims in the new proceeding cannot be considered a collateral attack on the judgment in the prior proceeding. Consequently the second basis for defendant claim preclusion does not apply to these claims. Conclusion: The Board granted Pinnacle’s motion for summary judgment with respect to Freki’s claim of abandonment due to naked licensing, but denied the motion as to its claims of abandonment due to nonuse, nonuse and fraud. The Board went on to find that Freki's claims of nonuse and fraud were not properly pleaded: the nonuse allegations had not been clearly delineated as a separate claim, and the fraud allegations were based merely on "information and belief" rather than on specific factual allegations as required by FRCP 9(b). The Board allowed Freki nineteen days within which to file an amended petition for cancellation. TTABlog comment: Abandonment, nonuse, and fraud are not affirmative defenses. They are attacks on the validity of the pleaded claim. Affirmative defenses - e.g., laches and estoppel - do not attack the validity of the underlying claim but offer reasons why there is no liability even if the allegations in the complaint are true (in the nature of confession and avoidance).